Berlin - The planned German Football Association academy in Frankfurt is set to cost €150m to complete, instead of the budgeted €90m, it has been revealed. Work on the state-of-the-art complex, where the next generation of Germany stars, referees and coaches will be educated and developed, is due to start next year and be completed in 2020, but costs have risen sharply. "Unfortunately, the construction price index in the last two years have risen, so litigation has cost us a few extra million euros, so it is important that the work starts soon," DFB general secretary Friedrich Curtius told daily newspaper Die Welt. "We assume we will be able to take over the plot in early 2018 and lay the first bricks in summer 2018." The final sum for the sprawling complex must be approved by the DFB's senior committee in December, but Curtius says there are no concerns about the project. "We have just signed good contracts with adidas and Volkswagen for the future, no one has to worry about the economic future of the DFB," he said. 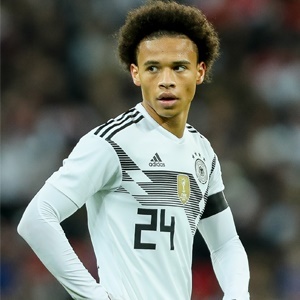 However, Curtius acknowledged that the DFB is bracing itself for a hefty bill from German tax officials in the wake of the 2006 World Cup scandal. Last month, the German FA was ordered to pay €19.2 million in back taxes related to a controversial payment for the 2006 World Cup, but is challenging the decision from the German tax office.